Excited to see this announcement. I’ve seen Weezer once back in 2008, which I didn’t blog about [this blog was around back then, too]. I’ve seen The Wombats a few years back. And I’ve seen The Pixies live twice [once in 2004 with all 4 original members] and again in February of 2014 [which I did blog about here]. The Pixies put on a great show live and they’ve enjoyed a nice resurgence of their career the last 13 years. And Weezer with their most recent album “Pacfic Daydream” and a possible “Black Album” release before next year’s tour date, I’m excited to see them live again. I got my tickets and now we wait until next August. Awesome. Never really got into Weezer but I love the Pixies. 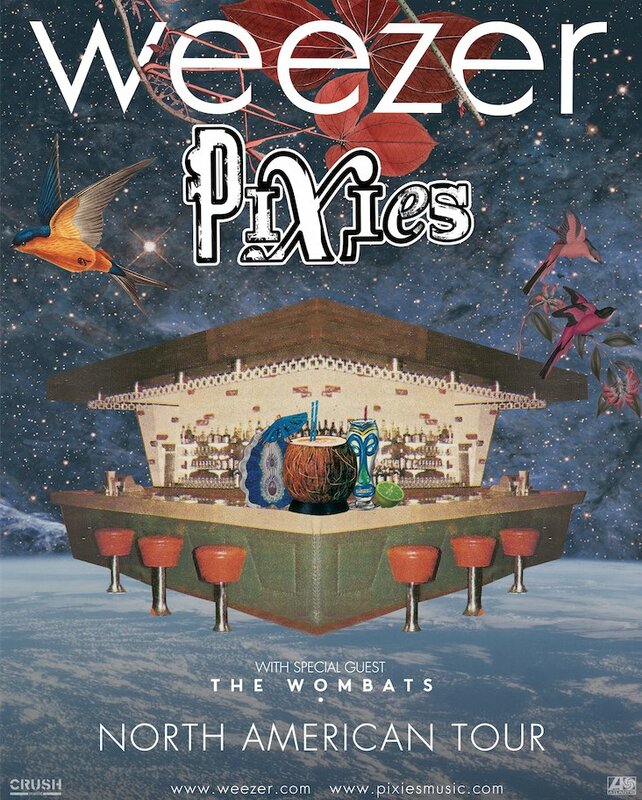 I’m a bigger Pixies fan, so that was the main draw to this show for me, but I admit to liking a lot of Weezer songs and albums.